Have you ever been in a situation when you were sure you were the smartest person in the room–until you weren’t? Conversely, was there a situation when what you thought was foolish turned out to be wise? The apostle Paul says it is possible to do that with the cross of Jesus Christ. “For the word of the cross is foolishness to those who are perishing” (1 Corinthians 1:18). Paul writes that comment to a church struggling with major problems. They were quarreling and creating divisions among themselves in part because of various church leaders: “I am of Paul, still others, I am of Apollos.” In other words, my leader is smarter than yours, which makes me smarter than you. Therefore, I am the smartest person in the room. In the first century, Greeks had as many as 50 different philosophical parties or systems—each with its own view of the meaning of life, relationships, purpose, destiny, and interaction with the gods. They loved philosophy—meaning “love of wisdom.” Paul picks up that message when he says, “For indeed Jews ask for signs and Greeks search for wisdom” (1 Corinthians 1:22). Your alignment is only as good as your source. If you do not have a reliable source, your search does not lead to consensus; instead, it leads to proliferation. People are “always learning and never able to come to the knowledge of the truth” (2 Timothy 3:7). The issue really becomes one of epistemology–your source of truth or and who you choose to follow. The biblical worldview would identify our source of truth as God as revealed through Scripture. Isaiah 55:8–9 say: “For My thoughts are not your thoughts, nor are your ways My ways, declares the Lord. For as the heavens are higher than the earth, so are My ways higher than your ways and My thoughts than your thoughts.” God’s ways and thoughts stand in stark contrast to our own. The wisdom of God is not the wisdom of man. Here is why this matters to us. “There is a way which seems right to a man, but its end is the way of death” (Proverbs 14:12). You can be absolutely convinced you are right while simultaneously choosing a path that leads to destruction. There are many people convinced that what determines whether a person goes to heaven is their goodness or their works. They believe they are a good person (certainly better than others). How good does one have to be to merit heaven? The answer is perfect. The only perfect provision to satisfy God’s justice is Jesus Christ. 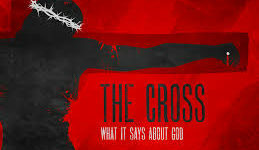 It is his sacrifice on our behalf (the wisdom of the cross) that deciares us righteous before God. But it only applies to those who believe by faith. The only means of salvation is Christ alone, by grace alone, through faith alone. “There is a way which seems right to a man, but its end is the way of death” (Proverbs 16:25). Whose wisdom are you going to follow? “But God has chosen the foolish things of the world to shame the wise, and God has chosen the weak things of the world to shame the things which are strong, and the base things of the world and the despised God has chosen, the things that are not, so that He may nullify the things that are, so that no man may boast before God” (1 Corinthians 1:27–29).